Wednesday, September 5, 9 a.m.–1 p.m.
Jumpstart your time at the Conference by joining your colleagues for a day of learning, discussing, sharing, exploring, and adding to your tool box to be an effective arts leader in today’s world. These seminars require pre-registration but are open to anyone. Arts administrators from the greater Indianapolis area are encouraged to participate, whether or not they’re attending the full Conference. 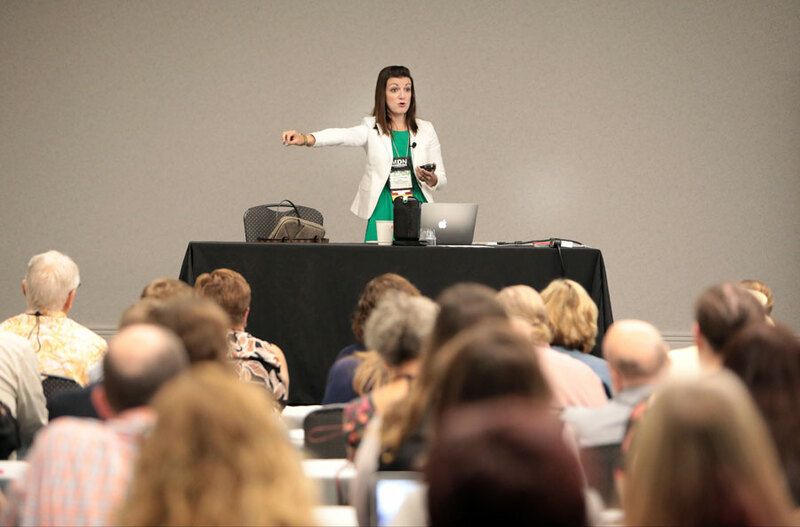 Ceci Dadisman leads a workshop at the 2017 Conference in Columbus, Ohio. Photo by Terry Gilliam. Participants will learn how data can be used to determine interests and propensity to buy, how segmentation can lower costs and maximize results, how to use messaging variations to engage each segment, and how to deploy strategic communications to allow your patrons to self-select their interests. 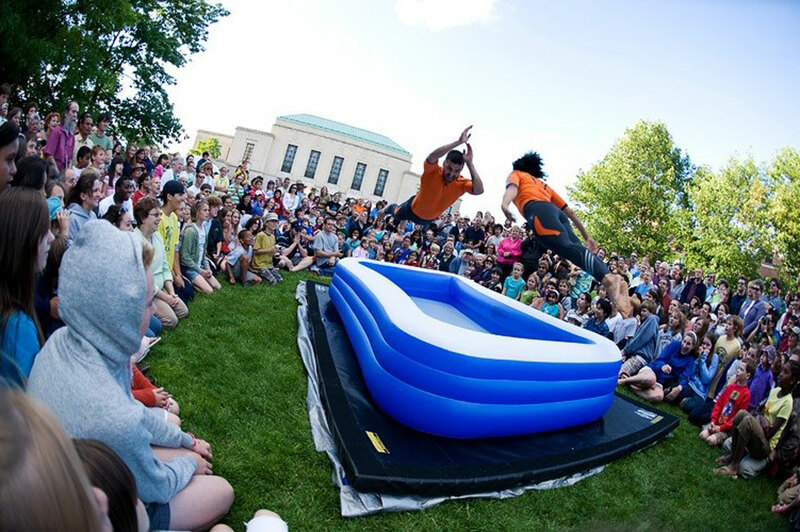 Ann Arbor Summer Festival. Myra Klarman Photography. Public art, at its best, is the engine driving the most creative placemaking happening in the U.S. It turbo-charges community engagement experiences. More and more performing artists and arts presenters are developing public art tactics and methods to build communities and transform lives. Works created in a public place for everyone to experience, engage in and interact with, strips away the typical impediments of access, including physical, financial, and language barriers. Performance-based public art takes many forms—a flashmob, an immersive forest of light and sound, or stunning physical theater in the streets for everyone’s discovery. It has the power to transform strangers into new champions of their home communities. Come explore performance-based public art with leading producers in the genre and leave inspired by the possibilities. Take away a broader understanding of what public art can be, what it takes to present and produce, and how to connect with new audiences. 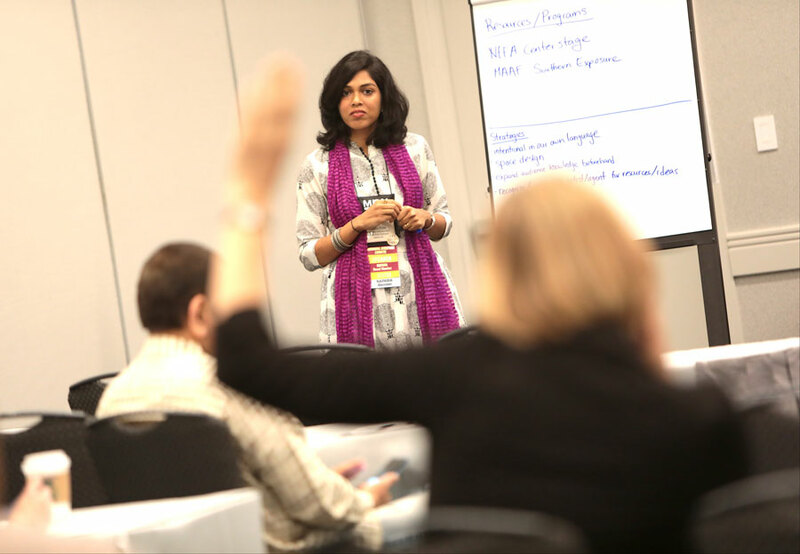 Heena Patel leads a workshop at the 2017 Conference in Columbus, Ohio. Photo by Terry Gilliam. Fiscal constraints, organizational goals, lack of familiarity with certain art forms or cultures, and community needs are just a few of the considerations that come into play when programming engagements on and off stage. In the constantly shifting landscape of the arts, in what ways can presenters, agents, and artists work together to maximize the impact of unique and diverse presentations? This interactive workshop for presenters, agents, and artists alike, is designed to inspire expansive thinking and explore personal and organizational responsibility, cultural diversity and equity, and metrics for success. Participate in small group brainstorming and program design and walk away with ideas and tools to take back to your own practice.